Hunter is an attorney in Whitfield Bryson & Mason’s Washington, DC location. His practice includes fighting for consumers who purchased defective products, including defective construction and pharmaceutical products. Hunter earned his bachelor of arts from the University of North Carolina Chapel Hill in 2012, double majoring in Political Science and Economics. Hunter then attended Campbell University School of Law. Prior to attending law school, Hunter interned for Themis Law Chambers in Cape Town, South Africa. At Themis, he was able to see the legal field from a different angle and gain invaluable international work experience. While in law school, Hunter worked as a law clerk for Whitfield Bryson & Mason LLP, where he assisted in standing up for the rights of injured consumers on a daily basis. During the summers, he clerked at the New Orleans office of Pendley Baudin & Coffin LLP, where he worked primarily on defective pharmaceutical product cases. 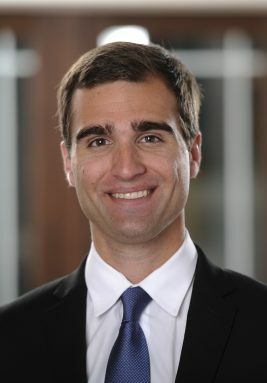 While at Campbell Law, he was elected as a justice to the honor court, a group leader for the peer mentor program, and a participant in the Campbell Law Connections program. 2016: In Re: Taxotere (Docetaxel) Products Liability Litigation, MDL 2740, pending in the United States District Court for the Eastern District of Louisiana. Case deals with a breast cancer chemotherapy drug and marketed and sold nationwide without disclosing the known side effect of permanent hair loss to doctors or patients. Status: Active. 2017: Hindsman v. General Motors, pending in the United States District Court for the Norther District of California. Case involves Chevrolet Equinox SUVs and GMC Terrains that excessively consume oil. Status: Active.